Robotic space exploration is gaining momentum owing to the lower risk factor and costs involved. Some examples are: robotic arms, rovers, flyers are the most widely used robots. 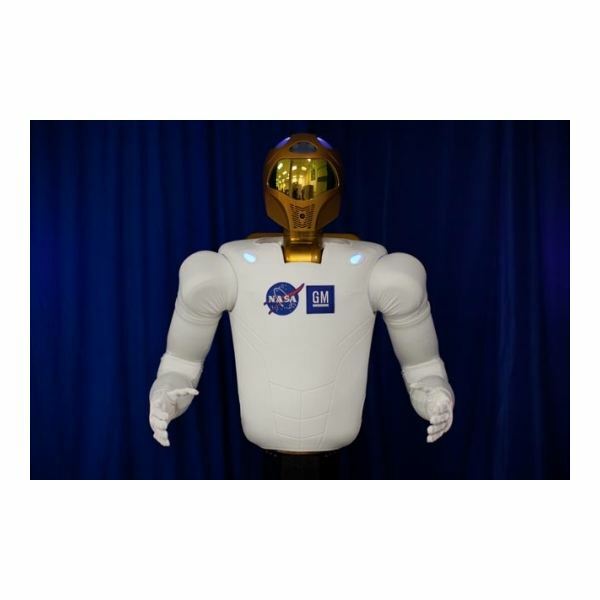 Robonaut, developed by NASA's Johnson Space Center (JSC) in Houston, Texas is an exception to the common category as it is a humanoid robot with a high level of dexterity. NASA aims to develop a robot which can assist astronauts in their study of space, at the same time venture into areas practically inaccessible to humans. They are capable of conducting Extravehicular Activities (EVA) like space walks and maintenance of space shuttle and International Space Station. The idea for a humanoid robot was conceived in the mid 1990s. The subsequent studies resulted in the birth of Robonuat 1, developed jointly by NASA and the Defense Advanced Research Projects Agency (DARPA). Even though Robonaut 1 never took a journey into space, it paved way for the development of the more sophisticated Robonaut 2. It is a joint venture of NASA and General Motors (GM). 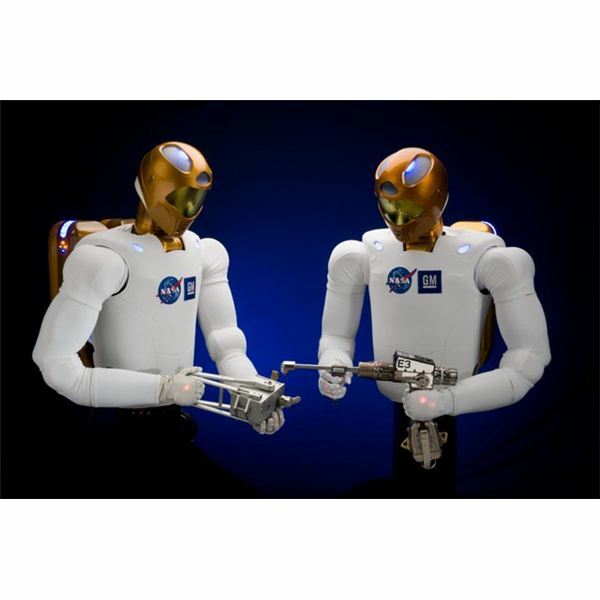 Both Robonaut 1 and Robonaut 2 will have the ability to perform EVAs, but Robonaut 2 has greater speed, better design and superior sensing capability. When NASA first revealed Robonaut 2 in February 2010, the world was amazed by its resemblance to humans. 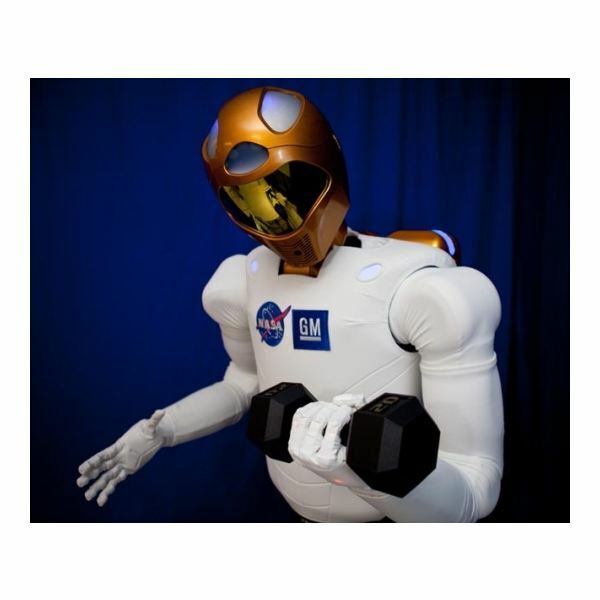 Robonaut 2 is made up of chiefly aluminum with steel and an assortment of other non-metallic materials and weighs 330 pounds (149 kilograms). Its body from waist to head measures 3 feet and 4 inches (approximately 101 cm) and has a shoulder width of 2 feet and 7 inches (about 78 cm). It is fitted with more than 350 sensors and has 38 Power PC Processors. It is capable of 42 degrees of motion and can achieve speeds up to 7 feet/sec (2.13 m / s). Its power conversion system is housed in a backpack. Head: Its head is fitted with a vision system. Behind its visor are four visible light cameras; two with stereo vision and two auxiliary cameras. In addition to these, there is another infrared camera in the mouth area giving it the ability to perceive depth. Its neck has 3 degrees of freedom giving it the motion of a human neck so that it can turn its head up, down, left and right. Arms: Each arm is 2 feet and 8 inches (about 81 cm) long, has a span of 8 feet (approximately 2.4m) and has 7 degrees of freedom. It can handle or carry 20 pounds (about 9 kg) on Earth. The forearm is eight inches (about 20 cm) long and contain motors (14), electronic circuit boards (12) and the entire wiring for the hand. Its wrist has 2 degrees of freedom. Hands: Each hand has two types of work set; dexterous one for handling different objects and a grasping one, which helps to hold the object stable. It has 12 degrees of freedom; thumb with four degrees of motion, index and middle fingers each having 3 degrees of freedom, and ring and pinky fingers each with 1 degree of motion. Each finger in R2’s hand has a grasping force of 5 pounds (2.2 kg). Currently NASA is planning to ship this Robonaut 2 in the Leonardo Permanent Multipurpose Module, which will be carried to the International Space Station by the Discovery space shuttle, where it will work together with astronauts on the ISS. The Destiny laboratory on the ISS will be the first research lab where it will re-enact those activities which it has performed on Earth. During its stay on the ISS it will undergo further modification. Once it illustrates its ability to work in microgravity, the lower part of its body will also be added thereby making the resemblance to humans even greater. Later, NASA plans to use it in extra vehicular activities before embarking on a journey to Mars. Once it becomes fully operational, this robonaut in space will be the front runner on many missions.